Picture from Aidy : The Reelan Valley from the eastern slope. Picture: The Reelan Valley from the eastern slope. Extensive Mountain Not Fully Explored Yet. I have had a lot of pleasure walking in the Bluestacks, and Croaghgorm, the highest in the range had long been on my list. I had previously climbed Croaghbane, but hadn't been able to continue along the rest of the ridge due to the weather, so I set off on the same route again, on this occasion just missing Croagbane's summit, and approaching Croaghgorm on a great walk via Ardnageer and Ardnageer SW Top. 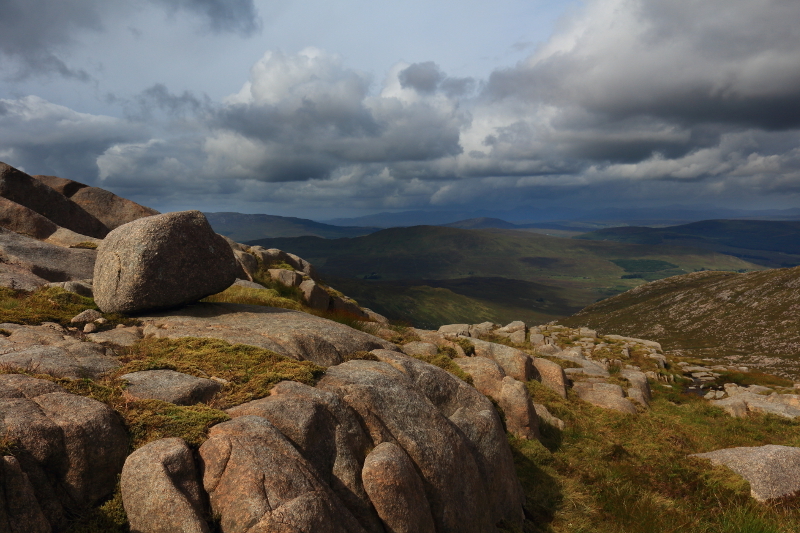 The top is marked by a stone shelter cairn, which I was grateful for as the weather had turned windy and cold by the time I got there, and I was able to rest the legs in relative comfort.